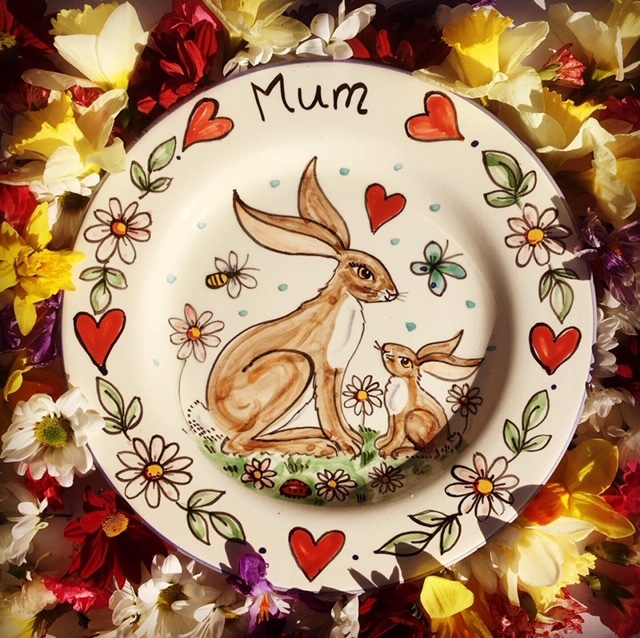 Kate creates hand-painted personalised plates, to celebrate any special occasion. The perfect present for a wedding, engagement, birthday, christening, anniversary, birth of new baby, retirement, mother’s day, father’s day, thank you – in fact, any occasion you can think of! 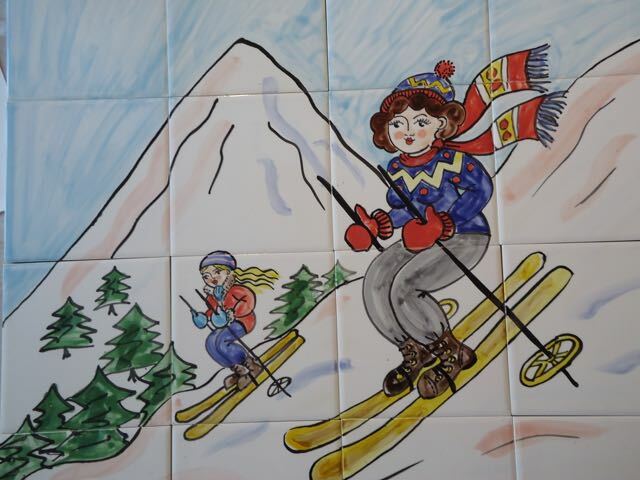 Unique, personalised hand painted ceramic tiles and tile murals to decorate your kitchen, bathroom or swimming pool? Kate designs durable, colourful splash backs behind Agas, Rayburns and range cookers and murals that add a sense of fun to any kitchen, bathroom or swimming pool. There are certain times of year when the quest for the right gift can seem impossible! 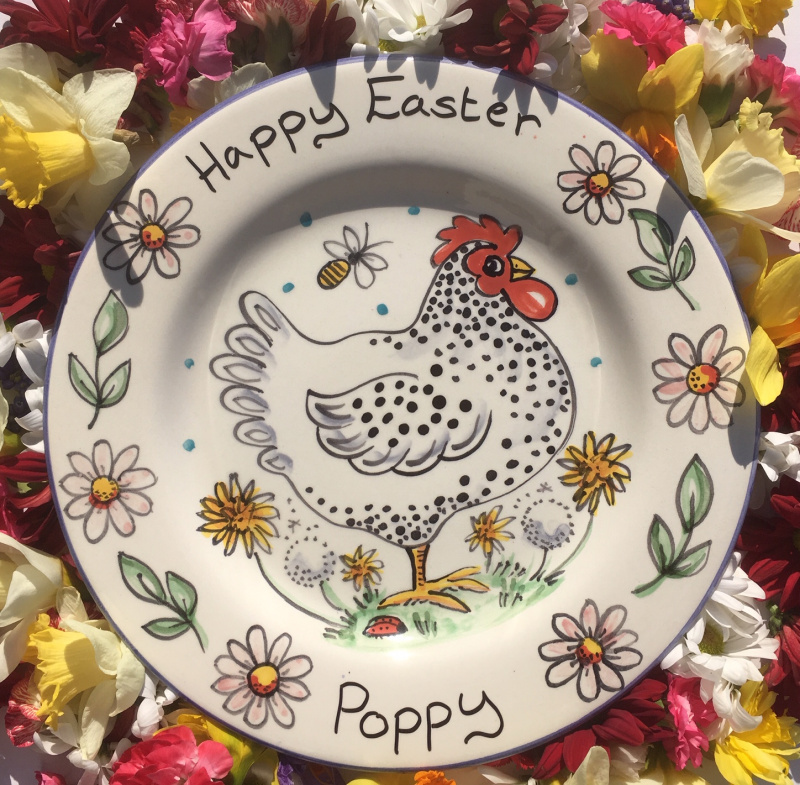 Never fear, Kate has a wonderful selection of hand painted ceramic Seasonal Gifts that can be personalised at no extra charge. Hand painted mugs can make a great gift at any time of year! 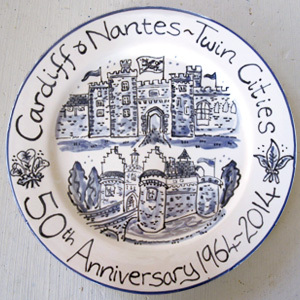 Kate’s personalised ceramics lend themselves beautifully to unique, memorable corporate gifts. 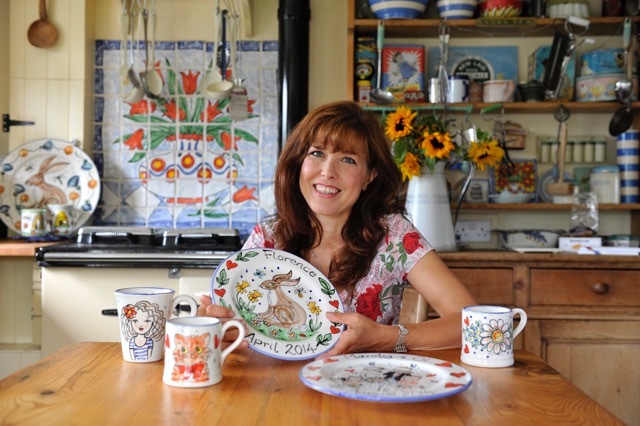 Kate has previously provided gifts and hand painted plates and mugs for organisations such as Wrights, Gin Haus Deli, MT Jewellery, Shelter Cymru, Cardiff City Council, Kate’s Race, International Airlines and BBC Television. A 15% reduction on all personalised plates! Offer ends 15th April. Last Easter orders 10th April. It's not too late to order a special gift for the mother in your life. 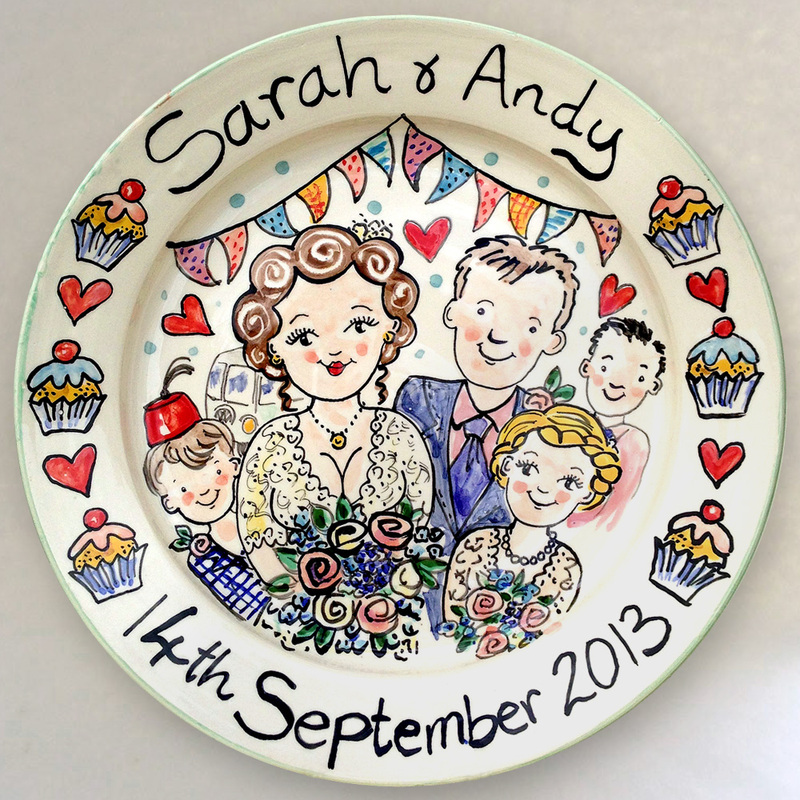 A hand painted plate or mug can be personalised with names, messages or even a bespoke design. The perfect gift for the one you love this Valentine's Day. 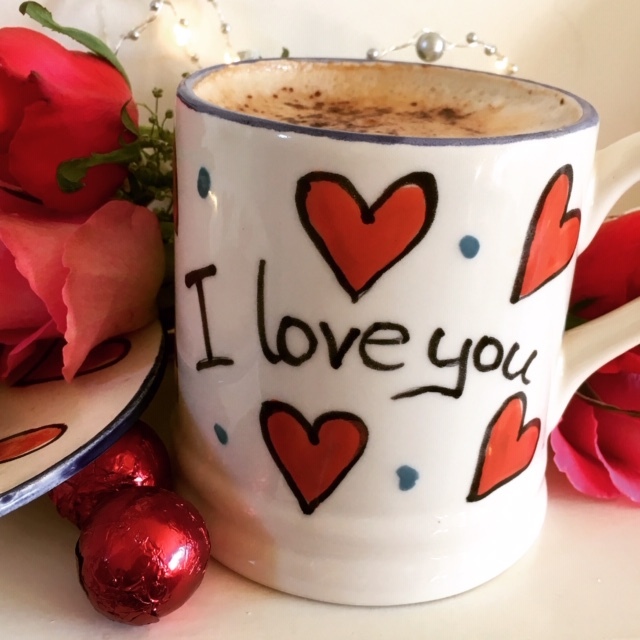 A hand-painted mug that can be personalised to include a name on the other side and a special message underneath. Order by 5th February for delivery before the 14th. A very special offer to welcome in 2019. A 20% reduction on hand painted tile murals throughout January! 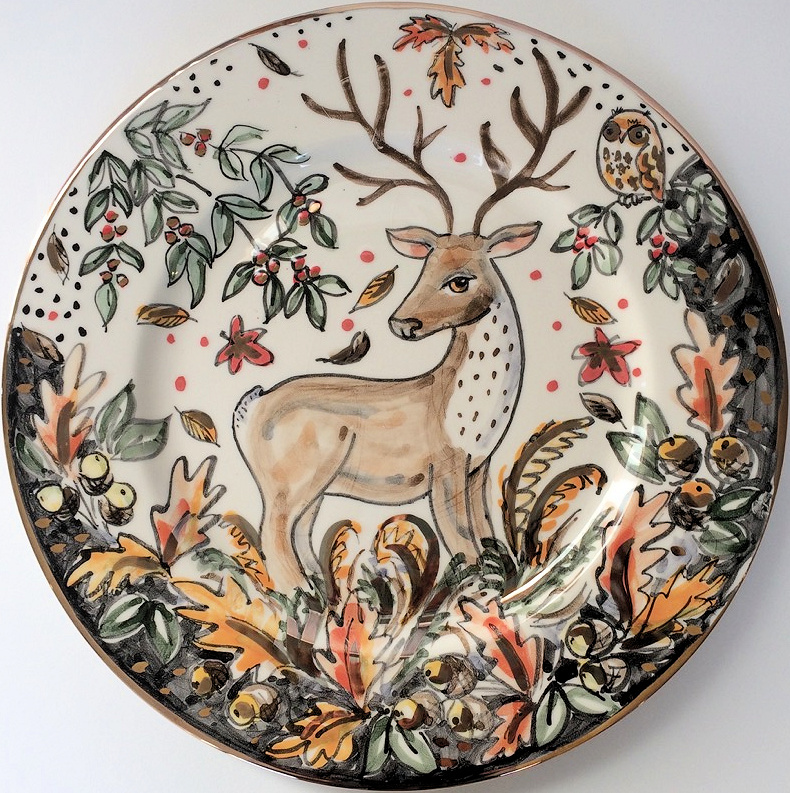 I will be exhibiting my hand painted plates, tiles and mugs at Art At The Hall Winter Wonderland exhibition. Llangathen Hall, Carmarthenshire 24th November - 2nd December. 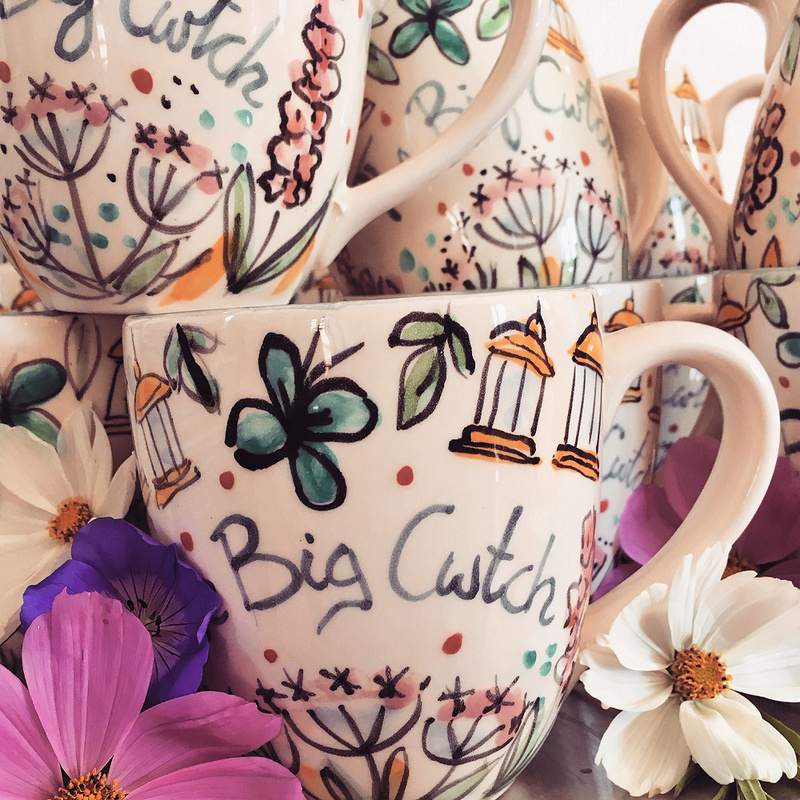 I was delighted to be asked to make these hand painted mugs for the Carmarthenshire based music festival The Big Cwtch. Big Cwtch 2018 mugs are now available to order from the Mugs page, £20 each. I will be exhibiting at The National Trust's Dinefwr Christmas Fair in Llandeilo! 24th and 25th November, 10am to 6pm. An opportunity to find the perfect gift for Christmas. Special pre-Christmas rush 15% offer! Pre-empt the Christmas rush! 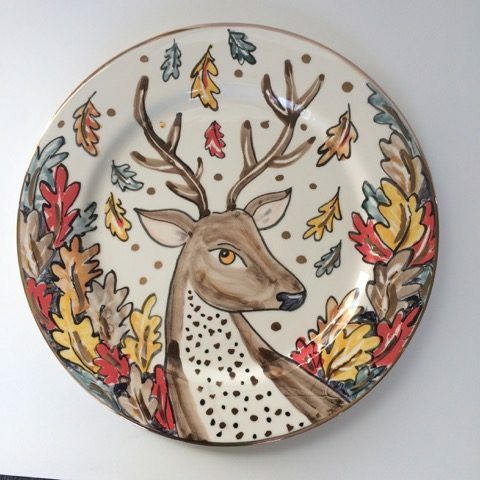 I am offering a 15% discount on all orders of my hand painted plates, tiles and mugs placed before the 15th October, use Coupon Code autumn15 in your shopping cart. 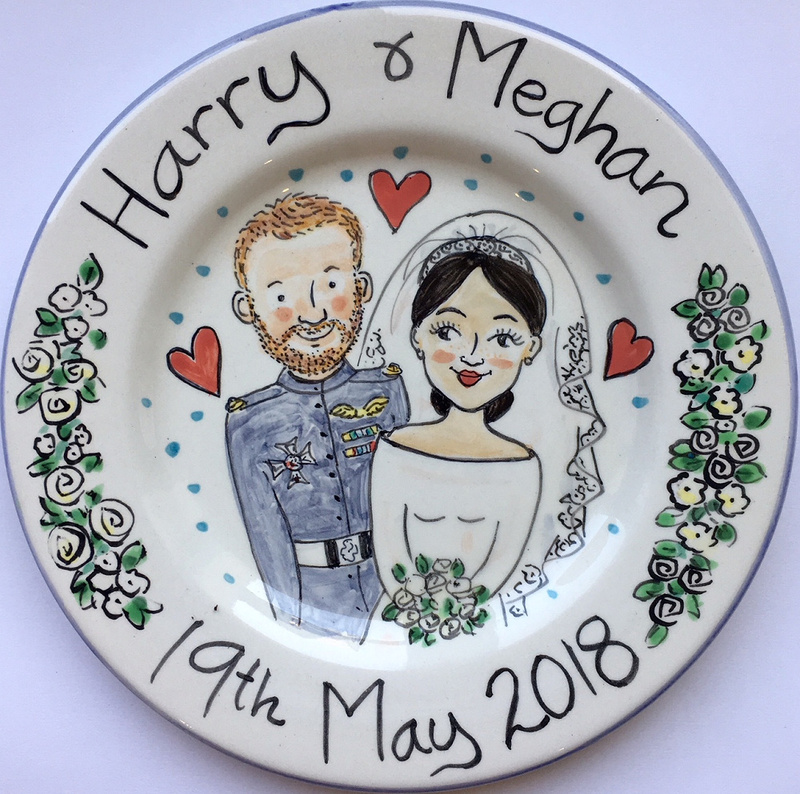 After such a wonderful wedding celebration I just couldn’t resist painting this special wedding plate to commemorate the special couple! Open Studio Event and Sale. I will be taking part in The Towy Valley Open Studios this summer. 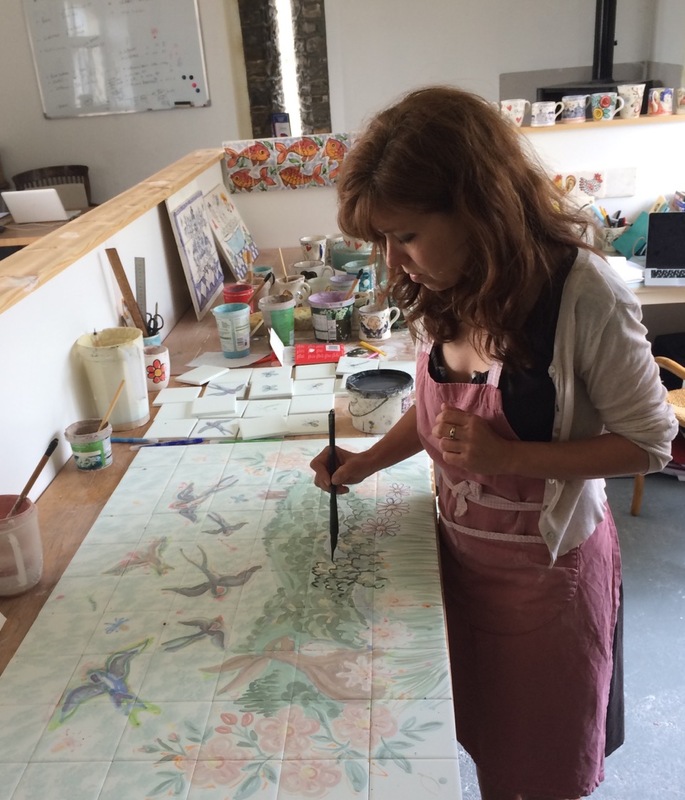 My studio will be included on the trail of many local artists and craftspeople who are opening their studios to the public between 21st and 29th July. 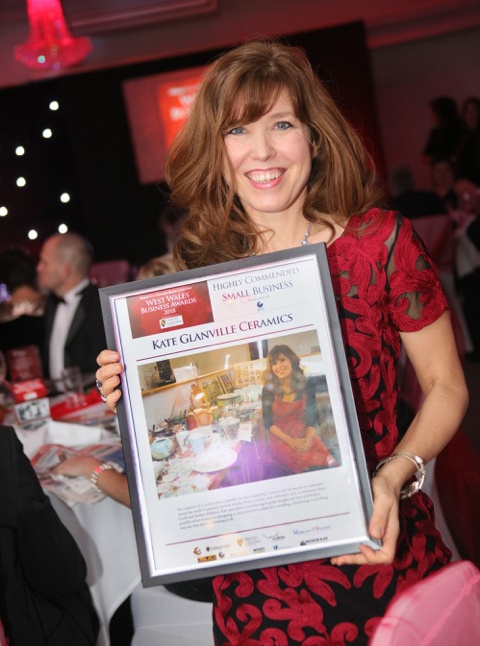 I was very happy with my Highly Commended award in the small business category at The West Wales Business Awards. A lovely night out at The Strady Park Hotel. 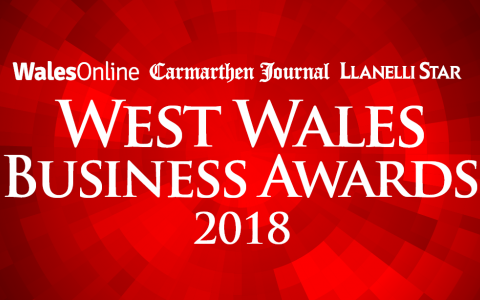 Kate Glanville Ceramics has been nominated as a finalist in the upcoming West Wales Business Awards, which are due to take place on the 19th January. After a record year for sales I hope to be in with a chance, I will let you know how I get on! 25 YEARS OF PAINTING POTS! This year I am celebrating 25 years of Kate Glanville Ceramics. It seems unbelievable but it really has been that long since I began my pottery business in Pimlico, London. 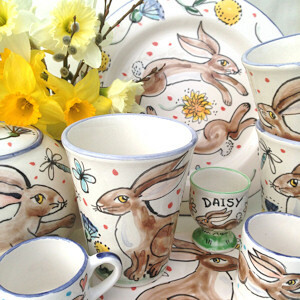 Kate Glanville creates beautiful hand painted personalised ceramics in her studio near Llandeilo in west Wales. 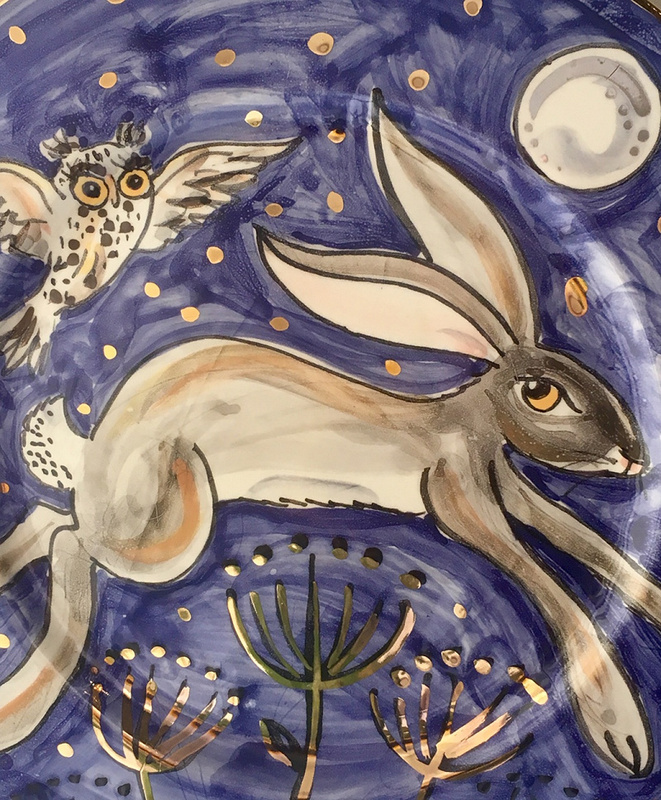 She uses brightly coloured traditional paints and glazes to create lively and original designs for hand painted plates, mugs and tile murals. Her inspiration ranges from the countryside around her to the paintings of Matisse and Picasso. 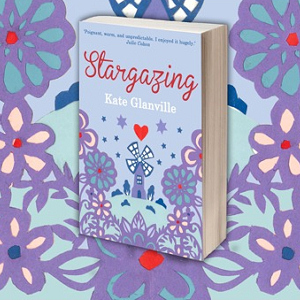 All Kate Glanville plates, tiles, tile murals and mugs are designed and hand painted by Kate to your exact requirements, making them a unique and personalised gift for a wedding or other special occasion. If you have a special request for something you can’t see on this website please contact Kate to discuss it.